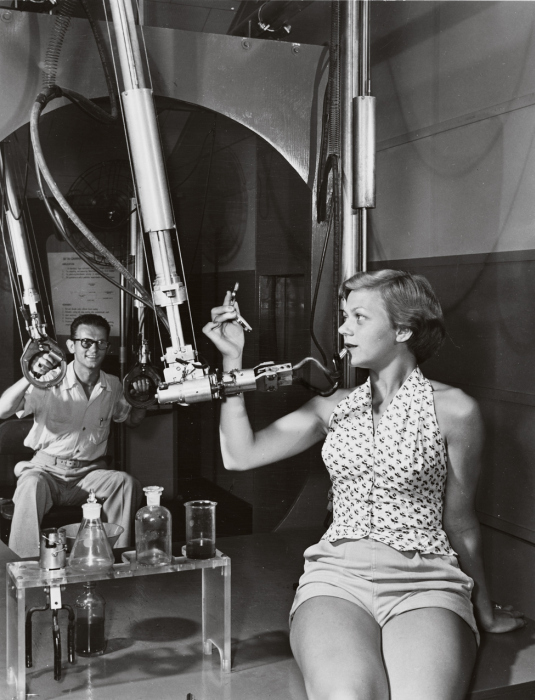 Looking at these rare historical photos will make you feel like you're going back in time. 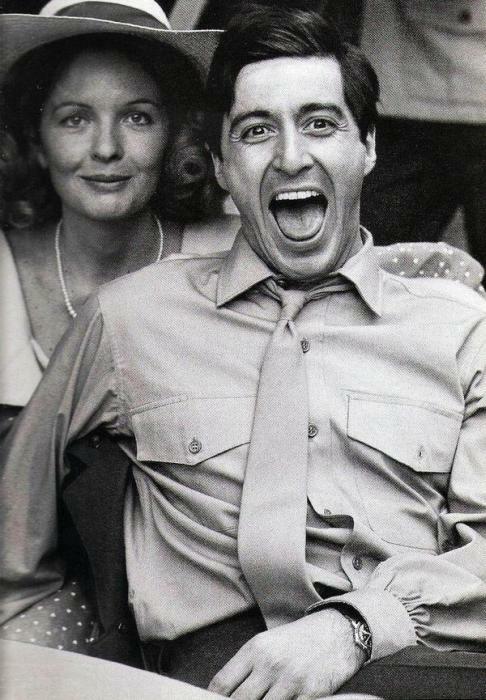 Al Pacino trying to smile for the camera in 1972. (4 years before anyone told him he was doing it wrong). 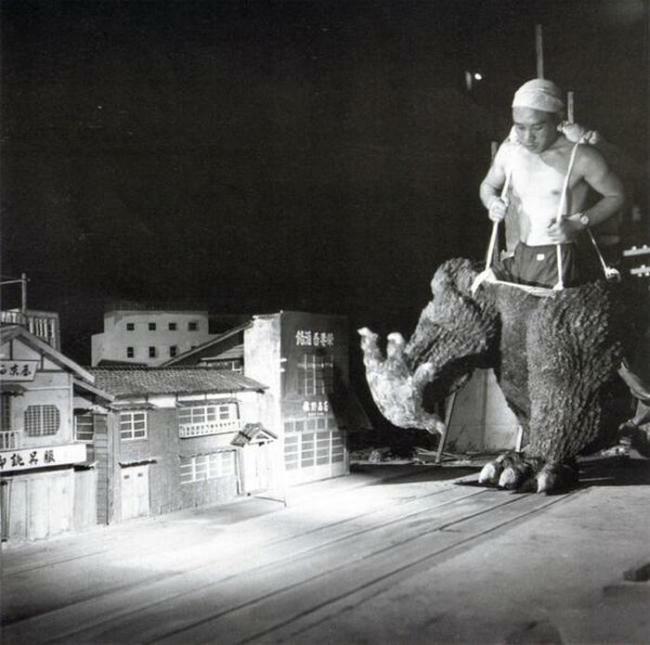 Godzilla' stomping around model village, earning this man a small fortune & inspiring a film of the same name (1947). 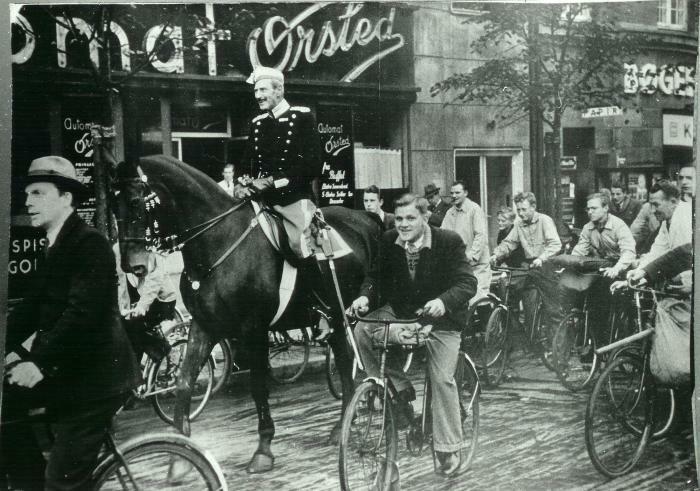 King Christian X of Denmark enjoying a bike ride after having hypnotized his horse into thinking it is a bicycle (1940). One of only two images of The Pervert of Penzance, Britain's most prolific serial killer (1968). 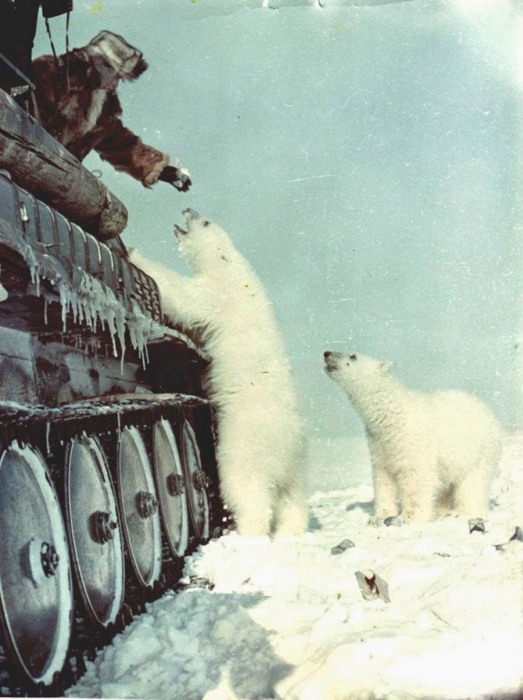 Chicago in 1956 as residents and drivers acclimatise to the new invention, nicknamed the "road"
Nicholas Ray on the set of the first Coca Cola commercial (1961). 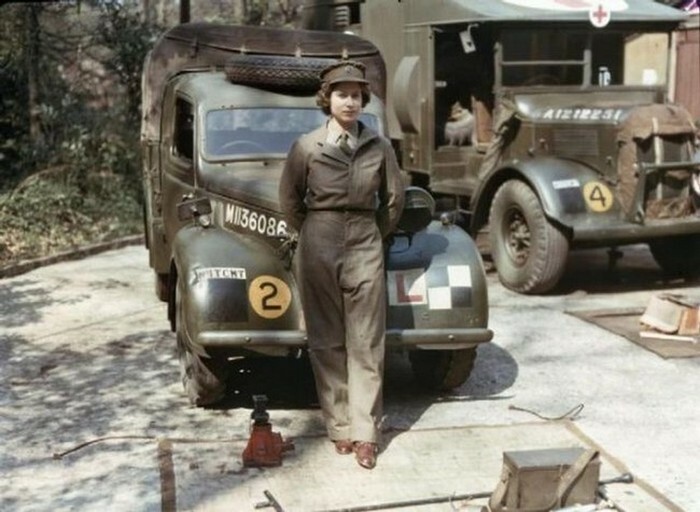 A young Elizabeth Windsor pictured in 1942 a decade before she was elected Queen of England. 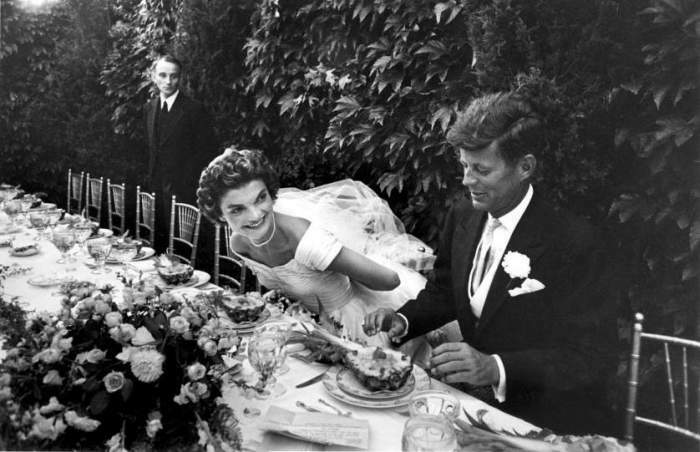 Capturing a period before flatulence in public was frowned upon, Jackie Kennedy 'let's one out' during her wedding to John F. Kennedy (1953). 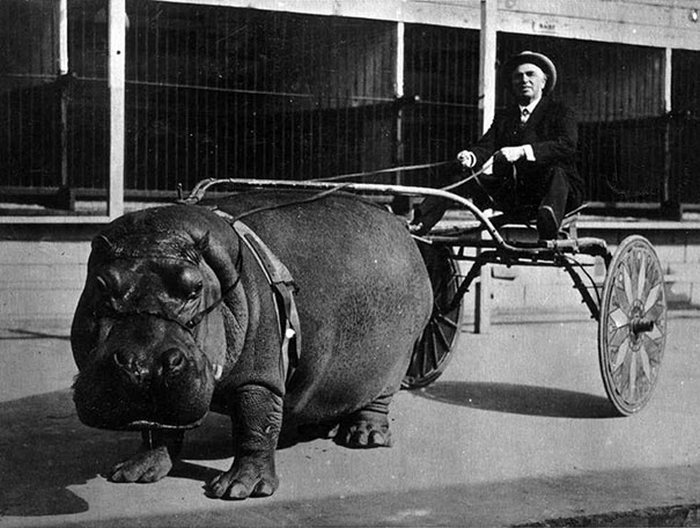 Blind John Wilson and his horse (1924). 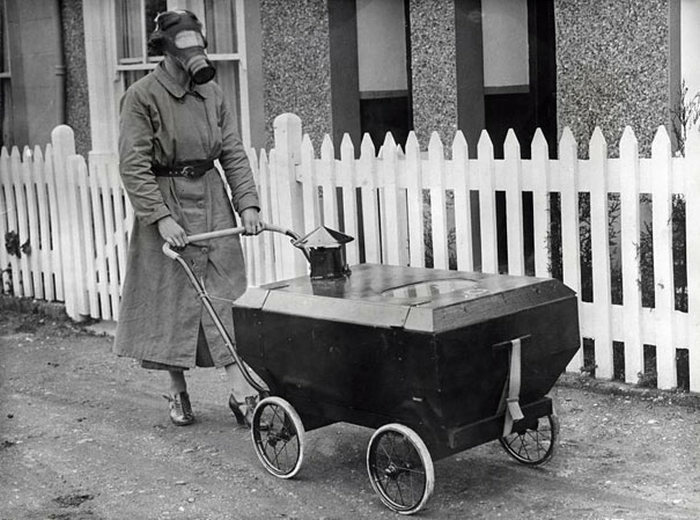 A young mother protects herself against the effects of Infantile Fetoristis, a now-eradicated disease which caused young sufferers to emit a putrid odor (1948). 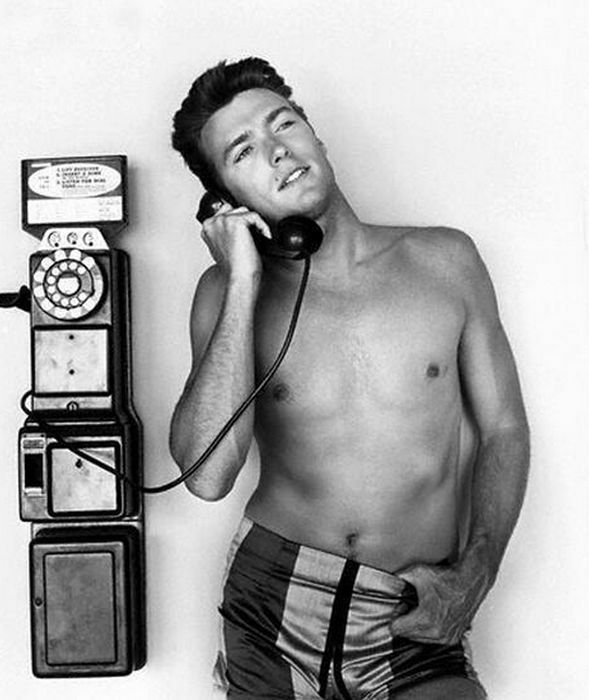 Ronan Keating listening to the latest music hits of the day on a 'Nickel-Windup'. 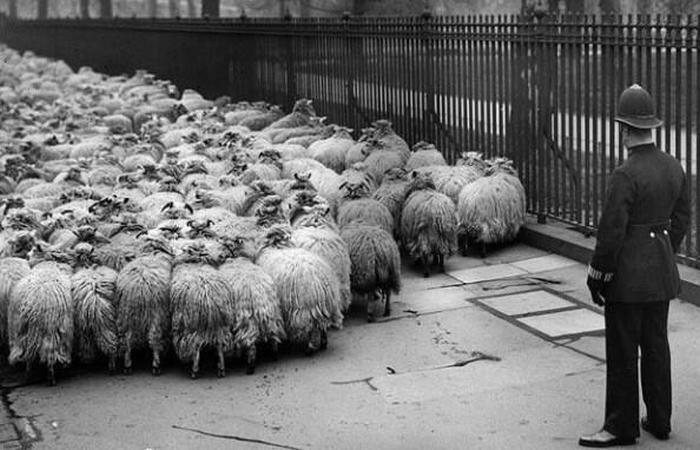 The king's royal flock-counter hard at work shortly before inexplicably falling unconscious again (1927). 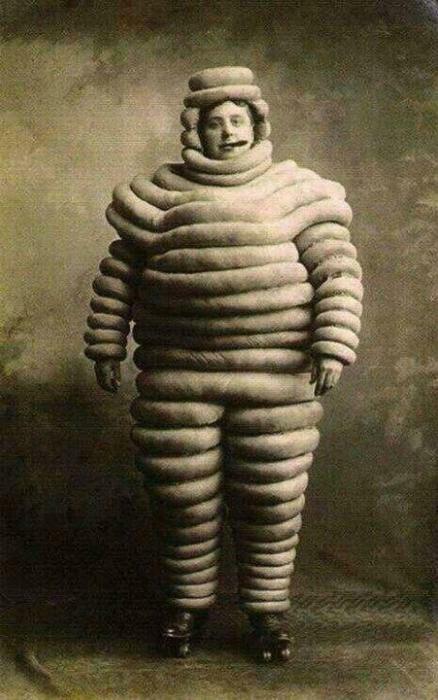 The original Michelin Man with his bouncy hydrogen suit and his trademark cigar shortly before he burst into flames. 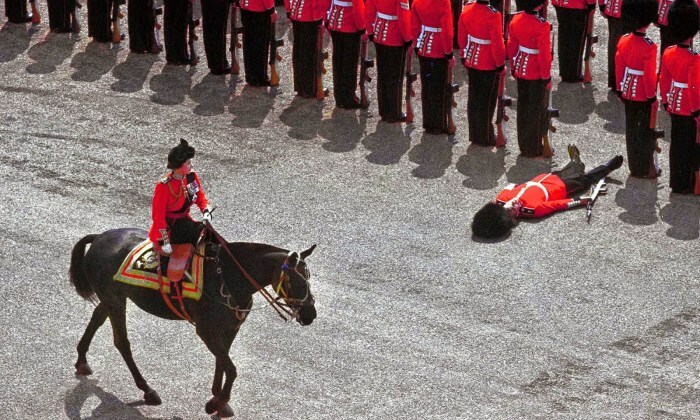 A foot-guard bravely executes what is widely believed to be the first verifiable image of the craze "planking" (1970)." 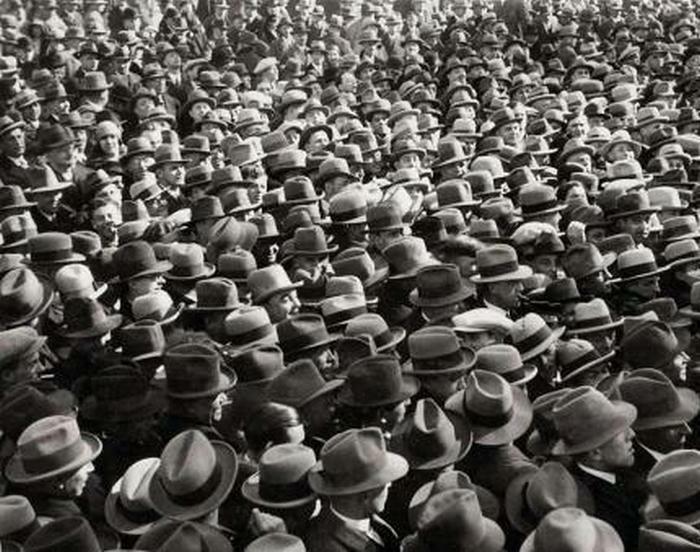 Chicago's 1st annual Shoe Convention, which was immediately abandoned due to nobody being able to look down (1913). A petty criminal forced to check the safety of safety nets before going to mass production (1958). 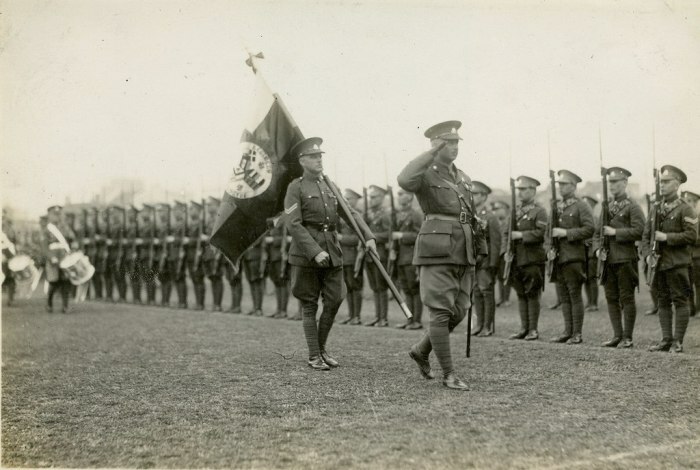 pic 6 is sweden, where they did change the side to drive on from left to right. #14 Interesting, i didn't know. 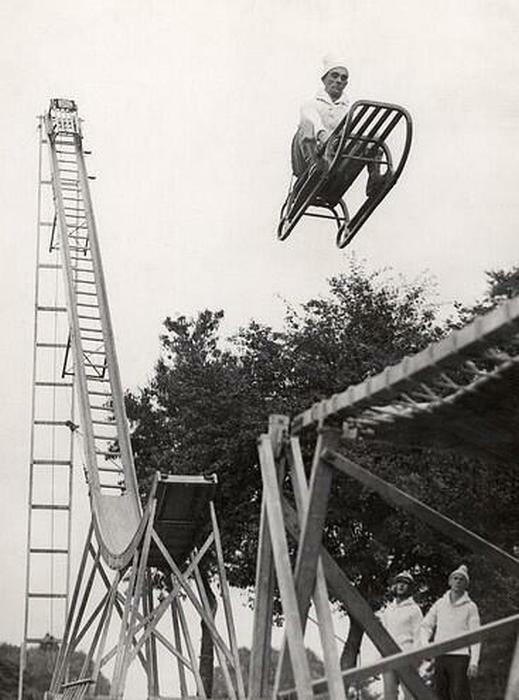 #17 another stupid post, the guy is riding a sled, it is a stunt.. I assume all of these are bullsh*t. I did not find any of them funny. 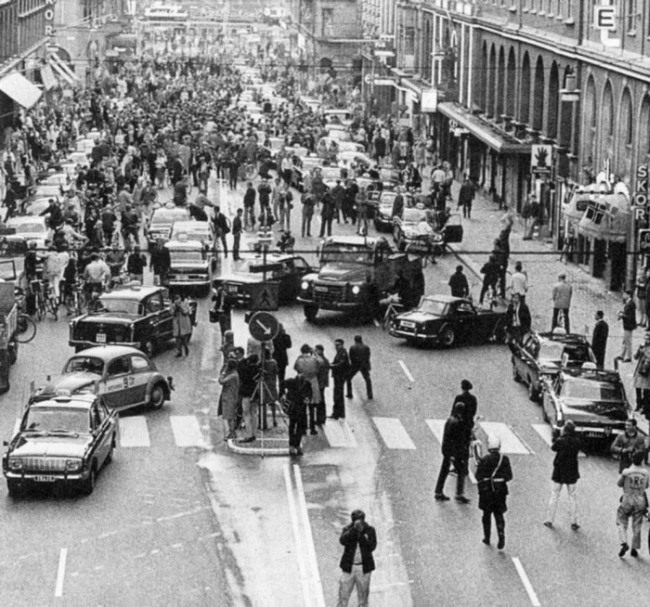 #6 is from Sweden, when they changed from driving on the left side of the road, to the right side of the road.